There was ‘comic relief’ at an Accra Fast Track High Court yesterday during the trial of 15 people who have been charged for killing Ya Na Yakubu Andani II, overlord of Dagbon. The Seventh Prosecution Witness (PW7), Wumbei Binchera, who moments before completing his evidence-in-chief appeared to be shedding tears upon hearing about the overlord’s death, occasionally threw the courtroom into laughter when he was cross-examined, attracting laughter from the accused persons. In one of such incidents, when the lead counsel for the accused, Phillip Addison put it to him that he had seen him talking to a lady in English in the morning before the trial, Binchera who spoke Dagbani said he tried to speak Dagbani, Ashanti and Hausa but since it was giving him problems he decided to speak his ‘little’ English to the lady, sparking laughter in the courtroom. 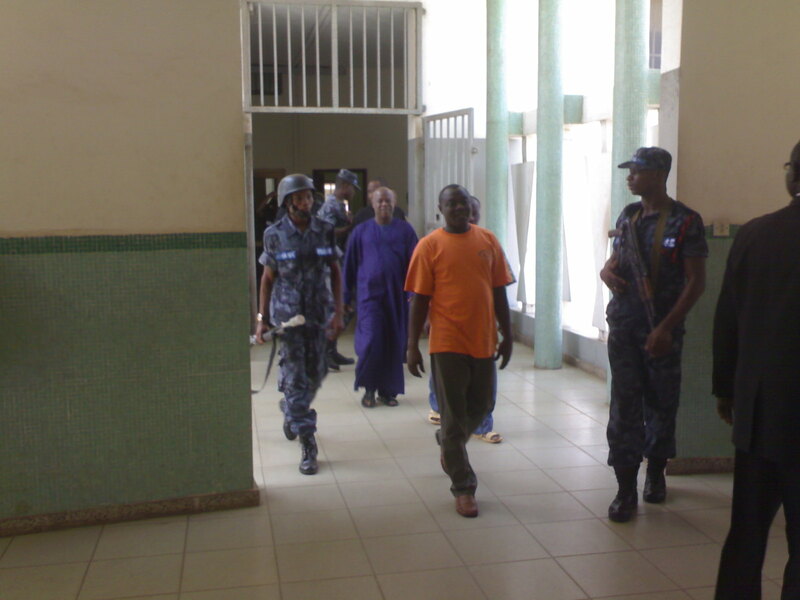 They are currently on remand except Iddrisu Iddi aka Mbadugu due to old age. He said when he returned from the farm he went straight to his workplace in Yendi and spent the night there and in the morning of March 26, 2002 when he was returning home he heard that the Gbewaa Palace was under attack by the Abudus. PW7 said whilst at home he did not move anywhere because he was afraid and added that he later saw an armour car moving around after which he saw one Ayooma and one of the accused persons shooting towards the palace around 3:30 pm. He said he left for work at about 5pm and saw a Benz bus with soldiers lying beside it and later saw one soldier speaking Dagbani on phone. “At about 8pm the DCE came in a car and the soldier asked him ‘have you killed the chief or taken him out of the house?”, but during cross examination, the same witness said the soldier spoke English. He said the DCE, who he (the witness) claimed wore a white local bulletproof, had replied that they had not been able to kill the chief neither had they succeeded in removing him from the palace. PW7 said he remained at the workplace until March 27, 2002 when on his way home he heard the sound of a drum signifying that the king had been killed. During cross-examination, the witness said he could not remember the date he gave his statement to the police and the date on which an announcement was made for people to provided information about the conflict at the Yendi Police Station. Counsel: Have you heard about Wuaku Commission? Counsel: What was it about? Witness: The reason is that after the incident, an announcement was made in Yendi that anybody who has information can come to the Yendi Police Station. Counsel: Were you invited to Wuaku Commission? Counsel: You were invited but you did not turn up. Witness: I went there and I was not given the chance to talk. I was there on three occasions. Counsel then told the court that Binchera’s name was among those who the commission invited but never appeared before the commission as captured in the commission’s report. Counsel: If you had appeared before the commission, an opportunity would have been given to the DCE (A8) to challenge you on what you are saying today. Counsel: Did you see Andanis being fired at. Witness: They attacked the palace and anybody who was there. Counsel: Who were in the palace? When counsel insisted that PW7 should mention those in the palace that he claims the Abudus were firing at, Binchera said after the king had been killed he was so frightened that he could not even go home but went straight to Tamale. PW7’s remarks prompted the judge to ask the prosecution to warn the witness not to give answers that seek to insult the intelligence of the court. Counsel: Did you see who the Abudus were firing at? Witness: It was not easy for me. I did not see the one they were firing at but I saw them firing. He told the court that he is an Abudu but when counsel suggested to him that he had said the Abudus were attacking and he being an Abudu did not need to fear, he changed his statement to “I am an Andani,” explaining that his father is an Abudu and his mother an Andani. He said when the DCE came to meet the soldier at 8pm he was standing very close to them but said the two did not see him but he (witness) could see them. He noted that it was not true that the DCE went to Tamale together with an Andani and Abudu on the day in question even though documents at the Wuaku Commission showed that the DCE was there (Tamale) and his car parked at the Yendi Police Station.